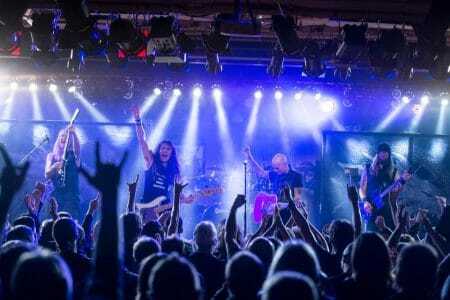 British Lion consisting of Iron Maiden bassist Steve Harris have released the new song “Spit Fire” from their upcoming sophomore album, which will be released sometime in 2019. You can read the rest of the interview with Steve Harris at Music Life Magazine. Listen to the long awaited studio version of one of the most loved new British Lion tracks Spit Fire here. It will be included in the set-list of the upcoming British Lion tour (dates below) along with other new songs, together with favourites from the band’s 2012 eponymous debut album.